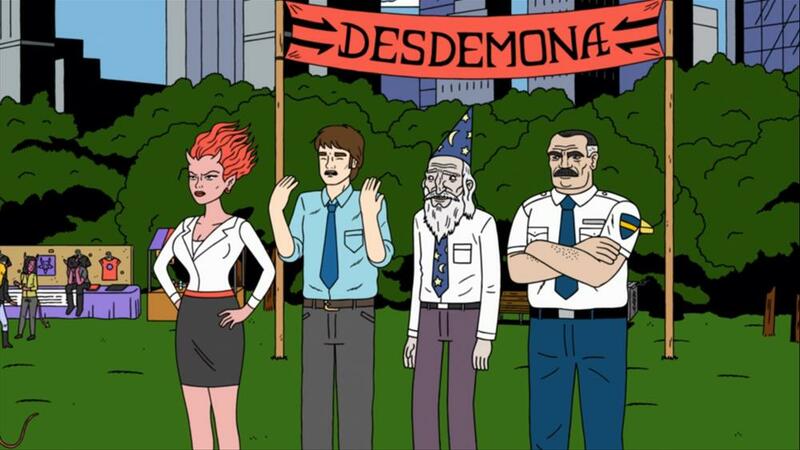 "Discover the awesomely hilarious world of Ugly Americans and stop the evil plot to bring the end of days! Play online or locally for up to 4 player co-op dual stick shooting action. Play as Leonard (the drunken wizard,) Grimes (the tough cop,) Callie (the hot demon chick,) or Mark (the lucky human) and use their special abilities and the BSU-2000 to annihilate everything in sight. Our friends at the DOI have uncovered a plot to bring about the End of Days and only you can stop it. Level up your heroes, equip them with 30 different weapons, and collect demon babies to boost your abilities as you take on hordes of demons, zombies, man birds and giant (yes giant) boss battles! Unlock a free full episode from the new season, two avatar awards and extra scenes from season 1!" "Welcome to the sizzling sci-fi world of The Baconing! You are DeathSpank, the ultimate Dispenser of Justice. Destroy the Anti-Spank and his Cyborques, before they cast an evil shadow over Spanktopia. Explore unique locations like The Forbidden Zone and Rainbow’s End in a pop-up book adventure. Over 100 quests, exciting boss fights and puzzles. Control the battles with the Weapons of Justice, Shield Bash and Perfect Reflect. Play co-op and choose from four amazing sidekicks." "Rock of Ages is a strategy game from ACE Team where players either defend their castle from a rolling boulder or destroy the enemy castle and defenses from the perspective of the boulder."